Do You Still Believe the Fallacies? The age-old question often comes up when hunters begin discussing big, old smart bucks. How do they use the wind to travel? Every time I hear this come up, or see it on a forum, I know we’re in for a long debate with more opinionated arguing than the presidential debate. There are those who swear that every big deer they see travels with nose into the wind. Others claim that deer walk the wind to their back. And let’s not forget the ones who claim it’s always a crosswind. Common sense alone should tell us that if deer "always" walked a certain direction based on the wind they would end up drowning in an ocean after a two-week, one-direction wind. 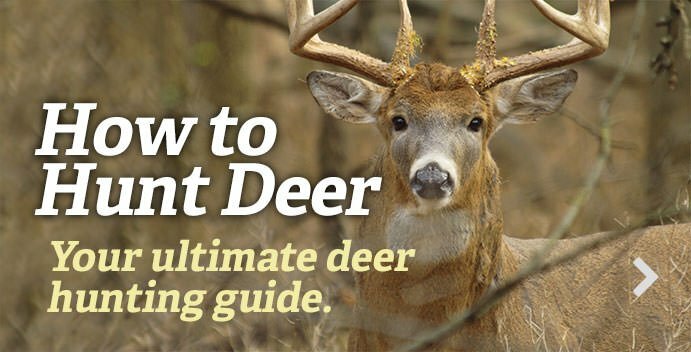 Rather than agree with one side or the other on debatable topics, I try to learn from the best teachers — whitetails. When I hunt, I’m not just out there waiting for a shot. I’m observing whitetail behavior. I take note of the wind directions in correlation to buck movement every time I see one. And what I commonly hear in conversation does not match what I’ve learned from four decades of deer observations. I believe that the guys who see deer walking wind-to-tail see that observation because they believe that’s how deer travel. Therefore, they set up for deer to move in that manner. And the same can be said for the wind-to-nose and crosswind-only theories. The deer I see outside of the rut travel from point A to point B going from bedding to food or water, and back to bedding with little regard to the wind. That said, there are certain times when I do see them use the wind outside of the rut. One example is in hilly terrain when deer enter a field. If the field has a low spot, older bucks tend to enter from that low spot when entering in the afternoon/evening. I’ve heard some say that is to keep them from being as visible. Perhaps that has some validity to it. But I think it has more to do with catching the dropping thermal air current that occurs around sunset. If you test the air current like I do (with milkweed plumes), you will see the thermals pulling all around the high spots in the field down to these low spots. Another exception is when hunting pressure becomes a factor. See, I learned long ago there is usually a stand in place in a lot of the best spots on pressured land. But if you look downwind 100 yards or so (just out of sight of the hunter’s stand), I commonly find where the older bucks are circling around the hunter unnoticed. Buck bedding is something I have really studied hard. Why? Mature bucks move very little in daylight and you need to get in close to kill them. In my four decades of hunting, I have found that bucks bed in certain spots based on wind direction. For example, a buck will bed on a thick edge looking into the open with wind coming out of the thick stuff to its back. That type deer will almost always come into its bed by coming into the wind — smelling its bed. Then it’ll turn around and watch its back trail. Think about it. That’s a pretty smart move for an animal. They don’t have ground scent coming in from one direction and wind scent blowing from another. They only have to worry about a predator smelling them with one line of scent. Which is why it’s so hard to track a mature buck and kill it in its bed. That deer is set up to watch you coming down its trail. On the flip side, based on my observations, when bucks leave their bedding area they pay little attention to wind direction. That might sound wrong. I hear many hunters say different. But my 40 years of observing pressured and un-pressured bucks, I don't see a correlation. I do see them come out faster, further and with more confidence when the wind is blowing to them from the direction they travel, though. This might be why some hunters see more deer traveling this way. But, in my opinion, it’s simply because they’re hunting too far back from the bedding to observe other movement. To me, a deer has what I call a “safe zone” — a circle around its bedding area where it thinks it’s safe from harm. In this area, it can smell you, see you, and/or hear you approaching. A mature buck feels safe here. And it will get up and move in daylight because of it. When the deer gets to the edge of the safe zone, it slows down and shows a little more caution. Some hunters have a different definition of a staging area, but I refer to that hesitation area as the staging area. My advice? A hunter’s best position is to set up right at the edge of the safe zone in the staging area. During the rut, some of this buck behavior changes. Cruising bucks (day walkers looking for does) tend to walk with a crosswind while trying to smell as many areas as possible. They do this while looking to pick up the scent of a hot doe. It’s common sense if you think about it, though. Walking into or away from the wind will only give you the scent you have already been smelling, but crosswinds will give you new areas to smell with each step. Just make sure you’re on the right side of that crosswind when you set up. In hilly terrain, you can really narrow down the cruisers. These deer tend to cruise leeward (downwind side) ridges. Furthermore, they cruise the top 1/3 of the ridge where the rising thermals and wind coming over the top (from the opposite direction) meet. This allows them to smell from below and above at the same time. Hunting cruising bucks in this type of terrain is as easy as checking the wind direction and mapping out long, connecting leeward ridges. We hear a lot of talk about hunting the downwind side of doe bedding areas. I don't totally disagree with that, but there’s more to it. Oftentimes I find bucks cruising the up-wind side. Might sound a little crazy. That said, observations have shown that they cruise the side that does enter and exit out of the bedding area. All the while smelling the ground scent on the trails. You’re golden when both the entrance and exit trails are downwind. But when they differ, you need to look at the sign to decide. Generally, you can't see the faint buck trail cause it only gets used during the rut. However, the doe trails coming out of the bedding will often be marked at the buck and doe crossing with a rub or a scrape.